A children's activity book I illustrated for NCF's Seasonwatch programme is out now in the schools of Kerala! 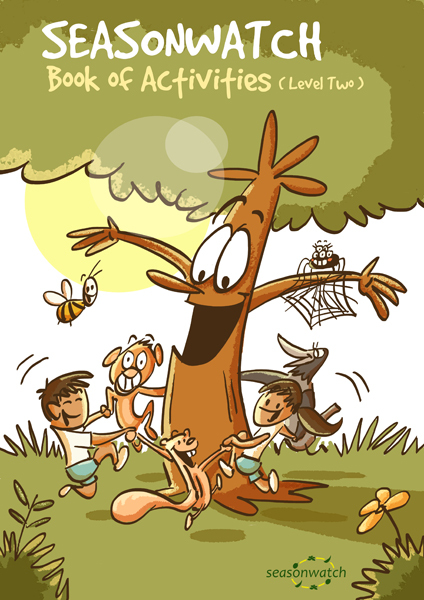 The book encourages kids to develop the exciting hobby of observing trees and documenting seasonal variations. Written by Sriram Aravamudan, the book takes you through the journey of Vishala the tree, his human pals Priya and Satish, and hordes of animal sidekicks, while engaging the reader in thrilling activities like bark rubbing and reproducing leaf vein patterns! More information about the book can be sought for by writing to sw@seasonwatch.in.